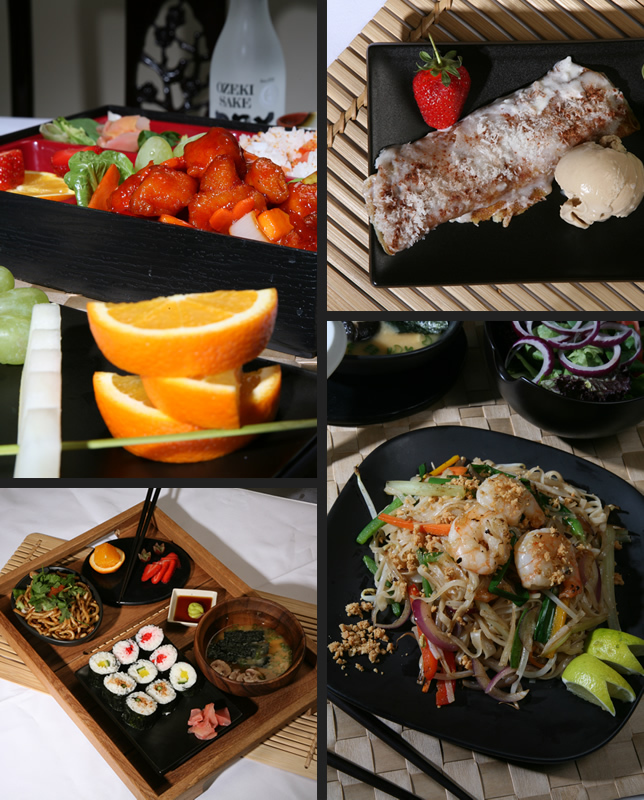 Yakisoba brings an eclectic mix of oriental dining to the heart of Chorlton. Discover our beautifully prepared bento boxes where food meets art. Yakisoba, simple, elegant and reasonably priced. Sip, slurp, untangle, devour, indulge, toast and taste divine! Yakisoba, do not be misled by the name. Although written in Japanese, it simply means ‘frying noodles’. We offer a variety of fusion cuisine all inspired from the Far East. Our generous helpings are all specially prepared with the freshest ingredients and the finest seasoning to satisfy each individual’s taste bud. Partake in a warm and pleasant atmosphere with an open kitchen setting, where our team of waiters will ensure a delightful and unique experience. Expect to be spoilt for choice, from the tea house selection to the seasonal specials . . .
All main dishes are essentially a Bento Box meal, which is accompanied with an assortment combination of Vegetable Miso soup,Edamame Beans &Wakame Cucumber Salad , A Sushi Roll and Fresh Fruits as well as Japanese Pickles. Love Yakisoba! It’s our go-to restaurant: fine food, excellent service, prompt attention. Highly recommended. Excellent food! Pleasant staff and environment. Cannot rate highly enough for both eat in and take away. Try a noodle soup bento if you’re hungry, the portions are absolutely enormous. The steamed dumpling platter is a real treat.